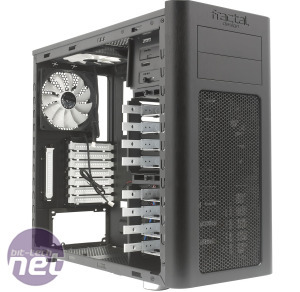 If you read bit-tech regularly then you’ll know Fractal Design as the company behind the quietly brilliant Define R3 case. We gave the R3 our Excellence award last year (before we started using our new scoring system), and it’s been a fixture on our monthly buyer's guide ever since. 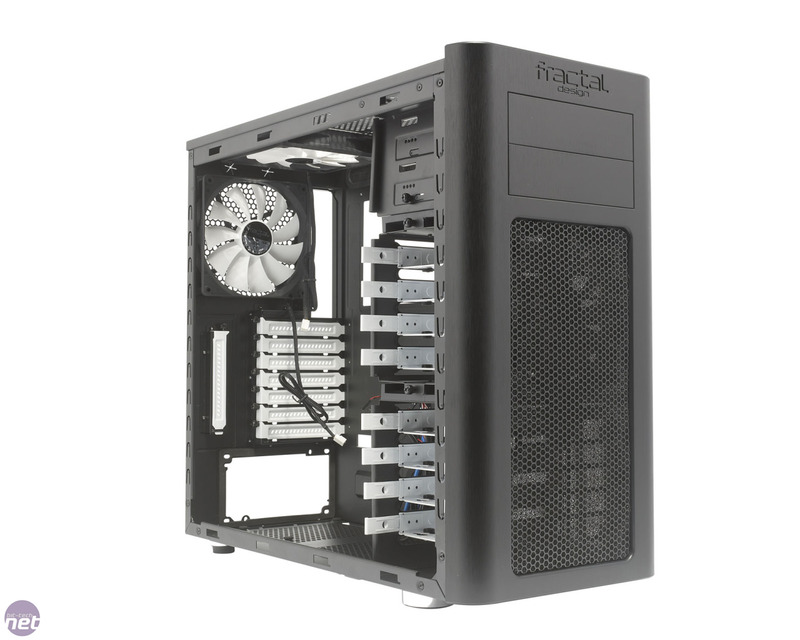 The R3 was one of the few cases we’ve seen that truly embraces the concept of quiet computing; we’ve seen quiet cases before but few approached the problem in such a comprehensive way. 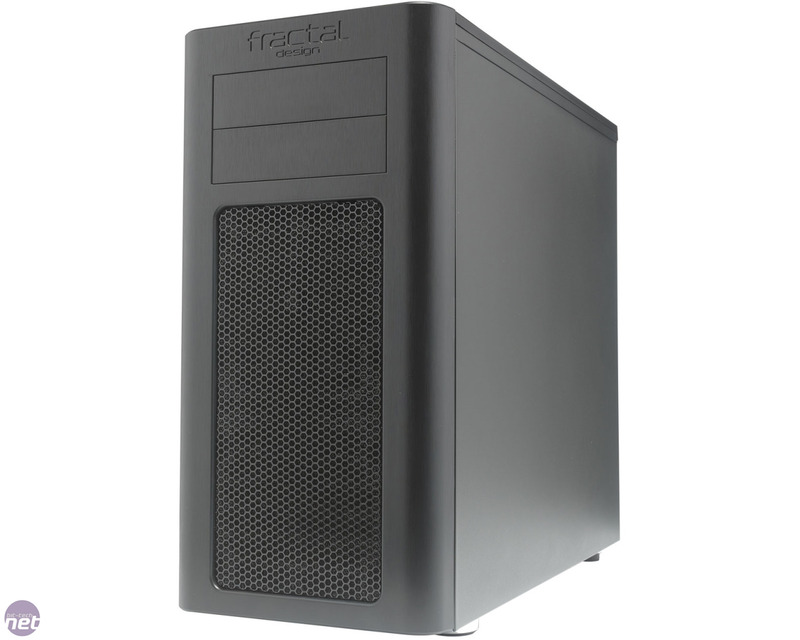 It’s interesting, then, that Fractal’s new range of Arc cases aims itself at the high-airflow end of the market. What new edge can the Swedish maestros bring to this part of the market? Externally, the Arc looks unusual as its design is dominated by two large grilles. 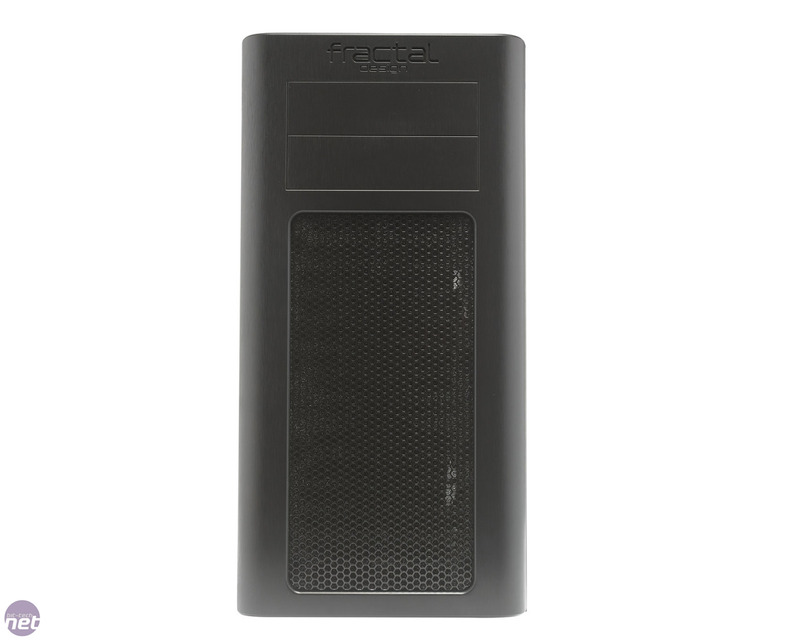 These take up the majority of the case's front face and almost the entire roof is backed by open foam that acts as a dust filter. 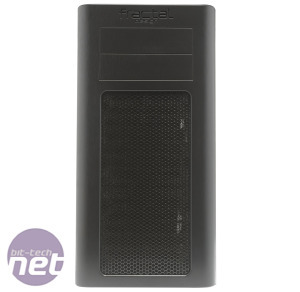 Canny readers will note that it’s unusual to see dust filters on the roof of a case, as fans positioned there are usually exhausting air, but at least this means less dust will fall into your case when it's idle. The only way to clean these dust filters, unfortunately, is to remove the entire case panel to which they're attached. This isn’t too much of a hassle for the roof panel, as undoing two thumbscrews is all it takes to slide the panel off the steel case frame on which it sits. However, the front panel is a little more awkward as it’s attached firmly and needs a hefty tug to pull it free. This isn’t a major issue, but it will be difficult to get the purchase needed if the case is living under a desk, for example. 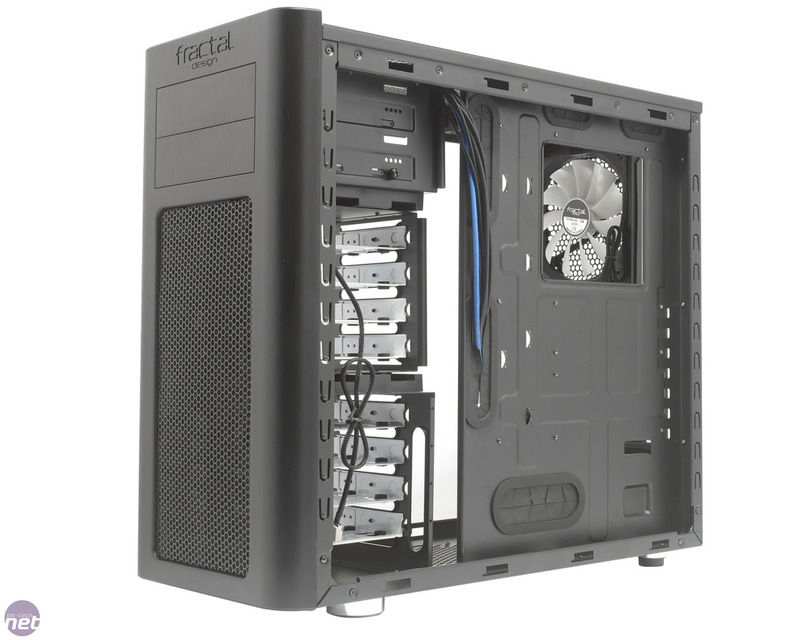 The front panel of the case is plastic, but Fractal Design has applied an aluminium-look finish to it, which gives it a soft, light scattering sheen of brushed aluminium. It’s a largely successful technique that gives the plastic a pleasant feel. It still sounds hollow and a little cheap when flicked, of course, but it's a welcome touch from a purely visual perspective. The rest of the case is a slightly more boring sober affair, with the front panel connections located on the top edge of the case where you would expect to find them. They comprise a pair of USB 2 sockets and a single USB 3 connection, which we’re glad to see is hooked up to a motherboard header rather than just a pass-through cable. Located next to the USB ports are the normal pair of mini-jacks and the power and reset switches. The side panels are functional rather than fancy as well, with only a single 140mm/180mm fan mount breaking up the otherwise blank steel sheet. 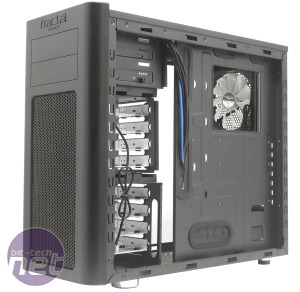 Unlike Fractal's Define range of cases the Arc's other unfilled fan mounts in the case have been left open, rather than blanked off with plastic plates. 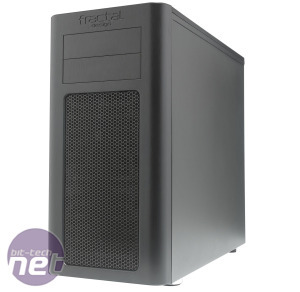 This is likely to let sound escape, but the large open grille on the side of the case should also ensure your graphics card receives sufficient airflow.